Did Your Vote Really Count? Okay, it’s 7pm and the first polls are beginning to close out here in the East Coast and we can finally stop talking about polling numbers and actually talk about raw votes–the same ones Hillary Clinton moaned about in the primaries. Here, the rubber is about to meet the road. Well, frankly, I’ve always wondered why stop a good thing. I’m all for computerization in many other fields, but dammit, when it comes to elections, why stop a good thing. Seriously, the worse thing that happened back in the day was “ballot stuffing” where randomly someone would put a whole bunch of ballots in the same box, but usually it was detectable because of signatures looking the same. Then in 1895 they introduced that behemoth of a machine with a lever on it. Well, I’m saying let’s go back to that. Why? Because it’s tamper proof. All it does, with over 20,000 parts, is tabulate the counts and at the end of the day the election judge comes by and records the amount. Granted, the judge themselves could be sheisty and write down the wrong number. But let’s be honest, human “error” is always possible in this case. But at least it wouldn’t be because of faulty machinery. Seriously, how many times has the power gone out at various locations, or the computer malfunction. Or at least let’s keep the punch-card ballots. Just tell people once they punch the ballot, to go back and check their ballot making sure there weren’t any pregnant chads or hanging chads, which come on people, clearly indicates that that person intended to vote for that candidate. Since it’s so easy to switch out memory cards and reprogram them in favor of one candidate over another, I’m a bit leery–seriously. At the end of the day, I believe in a paper trail. Especially in situations like this. 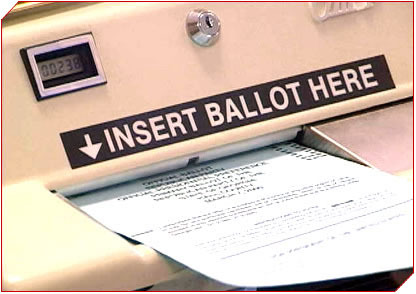 Some states, there is no paper trail with which to check votes if need be. 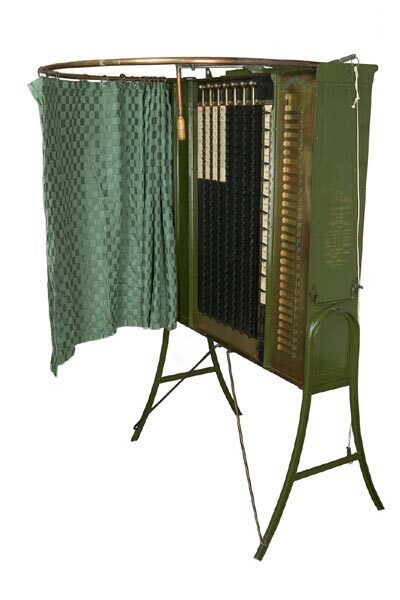 Even in the case of these electronic machines that only need one memory chip removed and replaced to alter votes, there is no record of even who voted, just a mere tabulation. At least back in Chicago, when I did the primary vote in Chicago, even though it was computerized, a printed roll of paper was produced on the side to let me check my own votes–and I was on my way. Someone raised a pertinent question at lunch earlier–when do they count the absentee ballots? I think each Election Board of Commissioners does it differently, but it’s sometime today because they have to verify the signatures and addresses. Do I think my absentee ballot was counted? Yes. For what it’s worth with Chicago politics, there’s never been any scandal recently about absentee ballots. Especially not on general elections. Usually, the dust ups happen in the springtime when Chicago is going through mayoral and aldermanic elections. But as the electoral map on CNN finally succumbs to the permancy of dark red and dark blue filling in precinct by precinct, county by county and finally state by state, we’ll see just how it all plays out. So, not unless I happen to have taken my computer elsewhere to watch the election results and do some semblance of live blogging, I doubt that I’ll be able to give you a hot drop as to who won tonight. I’m just hoping that by morning we will have known. Rest assured, I’ll be up watching the results, and at least watching the rally back home in Chicago. (I mean they’re expecting 1,000,000 people tonight–OMG, Chicago only sees crowds like that of the Fourth of July Fireworks after the Taste of Chicago) and you best cool believe if “that one” actually wins tonight…. but now I can say…. Oh yeah, if you live in the DMV (the DC, Murrah-land or Virginia urreah) could y’all let me know what’s up with the Inauguration stuff–as far as purchasing tickets and what not, such as how much and where to go to pay for ’em. Yeah, I’m trying to be in that number come January 20th if all goes as planned.